This Blowfly has a bright orange yellow head and brilliant metallic blue body with black cross bands on abdomen. It looks similar to the Snail Parasite Blowfly but does not have the large white spots. Not sure if it a different species of just a colour variation? 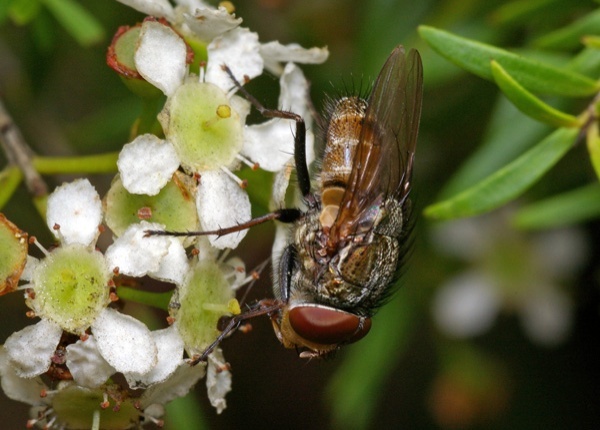 Most species of blowflies lay their eggs on carrion or dung, but some species lay their eggs on living animals. What to do with Plastic! !